Much is still left unanswered as Brian Michael Bendis teases us with possibilities but no clear answers. Aside from Lois cold cocking Amanda Waller, the issue is also memorable for an appearance by the Question (who has shown up to guard Sam Lane). I'm always happy to see the character who I'm sure has more than a few of his own questions, and theories, about what is going on. 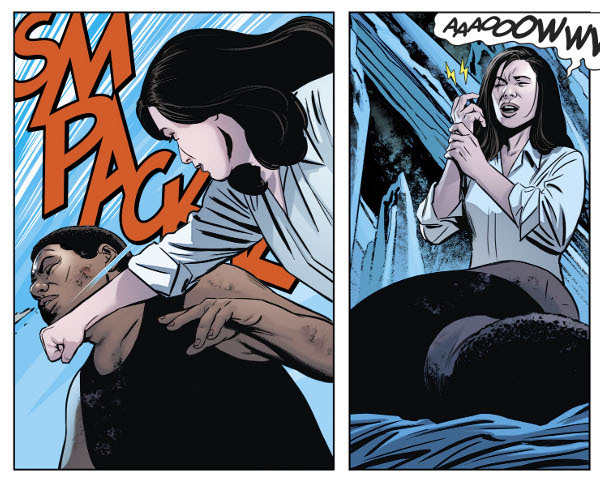 I'll admit I'm a bit confused by the final few panels in which Superman and Lois appear transformed for an undercover mission (what did I miss? ), but even an unclear ending doesn't detract all that much from another solid issue. Worth a look.